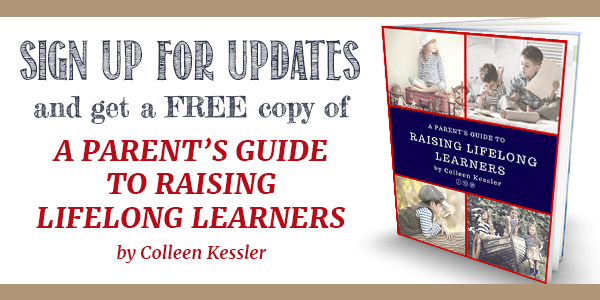 Christmas time is a busy time for moms and families. Between shopping, cleaning and preparing for parties, we have a lot on our plates. 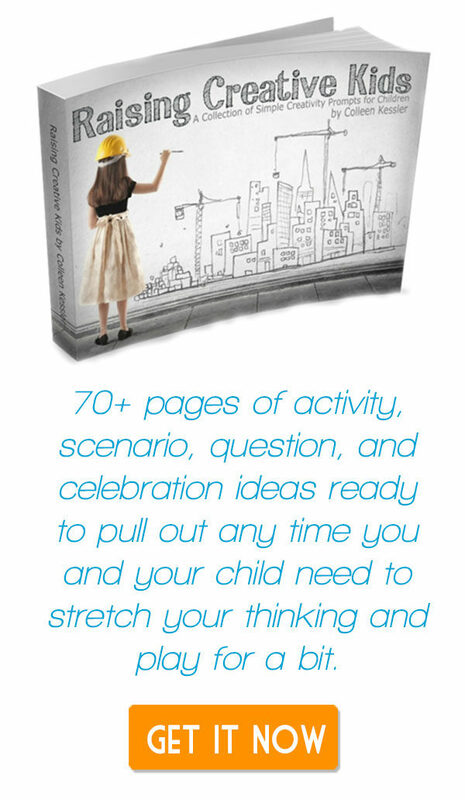 Add to that the extra stress of getting the kids dressed up and ready for holiday events, and it can be downright overwhelming. These 20 easy hairstyles are great for holiday parties, and anyone can do them. 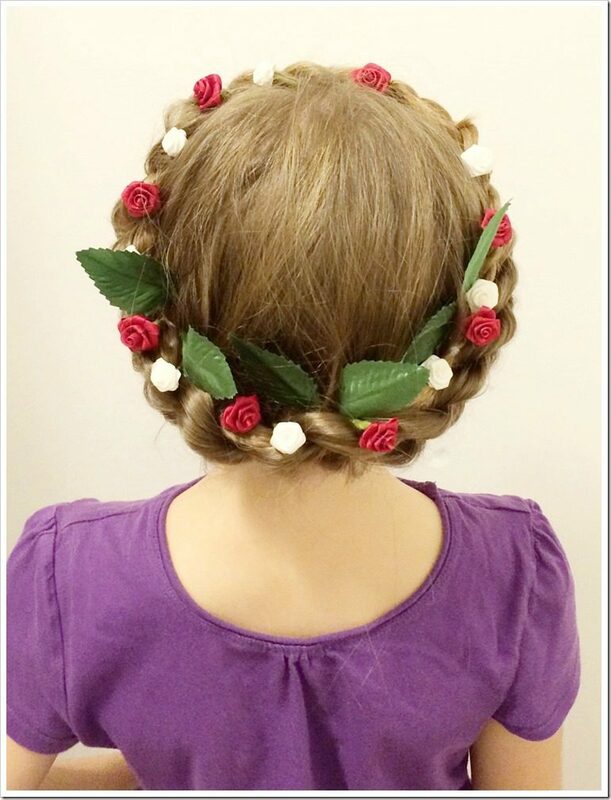 I’ve included a link to a tutorial for each of these adorable holiday hairstyles. 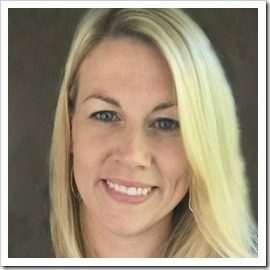 Whether you are looking for a Christmas hairstyle for a school party, an evening of caroling, an ugly sweater party, or your annual family Christmas party, there is a hairstyle here that you’re going to love. I’ve got you covered for short or long hair, formal events or flat-out silly ones, there’s a hairstyle for you. 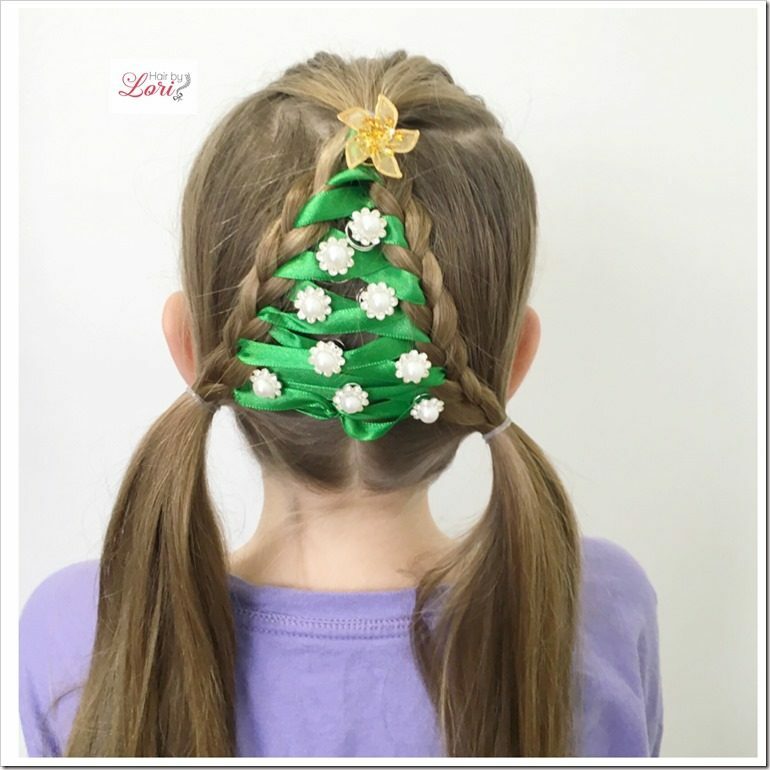 Easiest Christmas Tree Braid EVER tutorial from Hair by Lori. 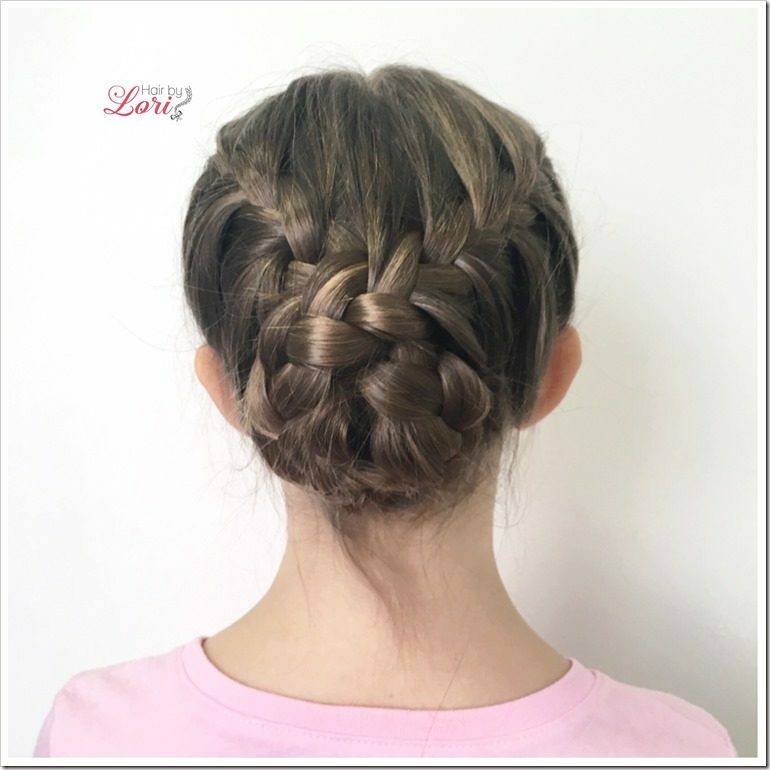 This hairstyle is so easy to do, no fancy braiding skills required. To make it even easier, you can snag a Hair by Lori EZDO Christmas Tree Braid Kit on Amazon and it comes with all the components you need to make and decorate your Christmas tree braid. Easy Santa Hat Hairstyle tutorial from Hair by Lori. This is another hairstyle that ANYONE can do, it’s so easy. If you can do a ponytail, a regular 3 strand braid and you can lace up a shoe – then you can easily recreate this adorable look. 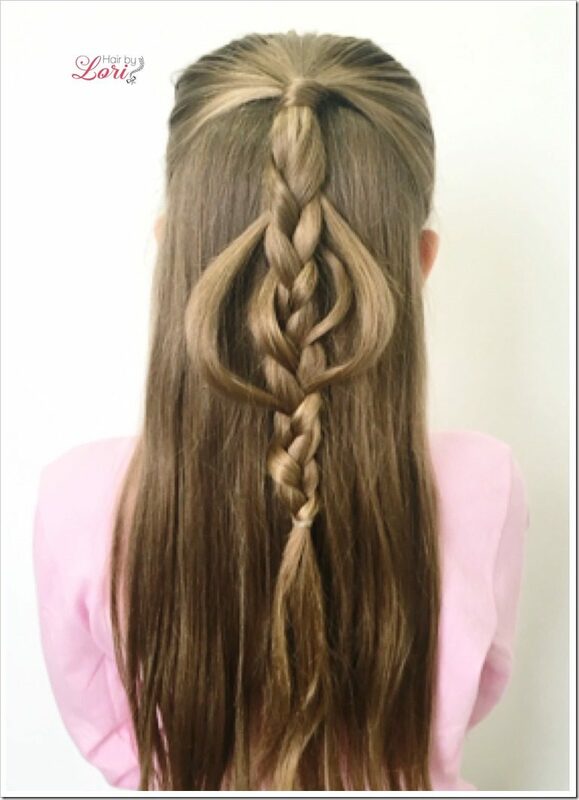 The Ornament Braid tutorial from Hair by Lori. This hairstyle is so quick. It looks complicated but is really quite simple to do. It’s a more subtle Christmas hairstyle for occasions that call for hair that’s not over the top. Wreath Hairstyle for Short Hair tutorial from Hair by Lori. 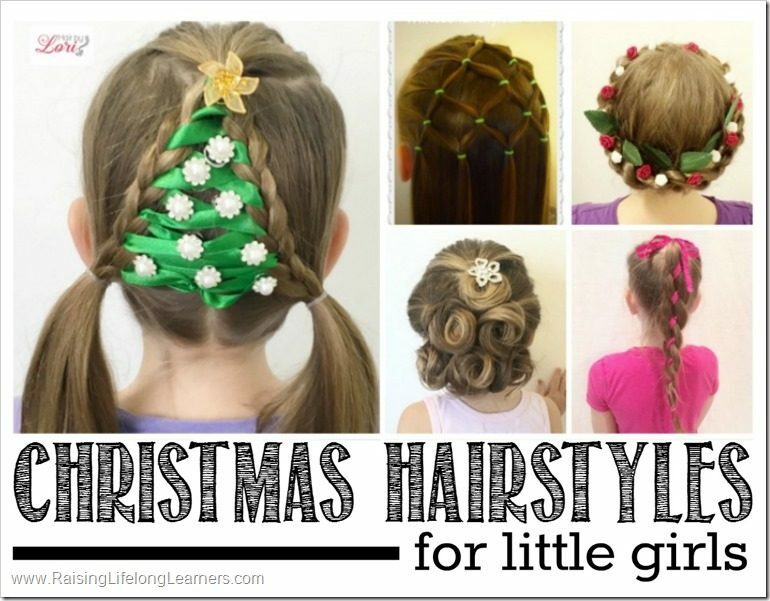 This one only works on shorter hair, but is such a cute and festive hairstyle. Finish with curls to dress it up or just leave the hair straight. Rope Twist Crown Braid Wreath tutorial from Hair by Lori. This wreath hairstyle is so pretty. This one really stands out. It is one of the more difficult in this list (while still being fairly easy) but if you have time to do a practice run at this, it’s worth the effort. And the upside is that it’s a quick hairstyle to do. 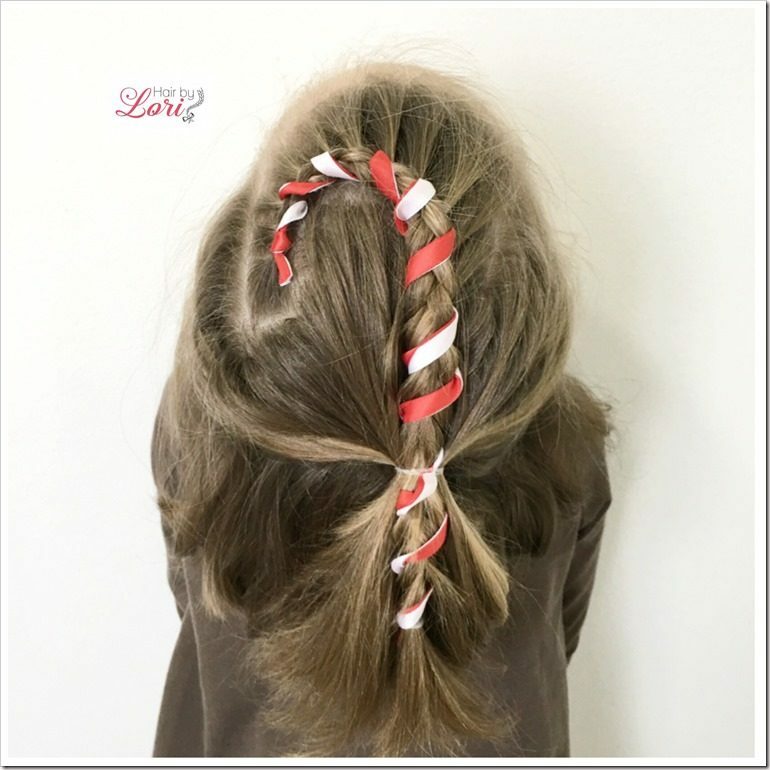 Candy Cane Hairstyle tutorial from Hair by Lori. This hairstyle is adorable and works on short or long hair. 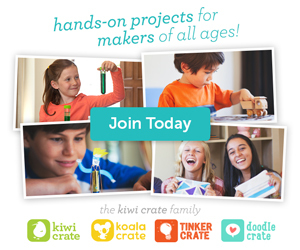 You’ll need to have a topsy tail or crafting needle handy for this one. Ornament Updo tutorial from Hair by Lori. 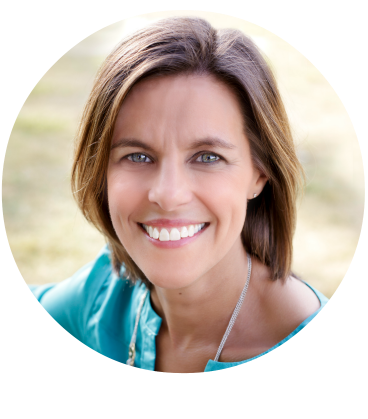 This beautiful updo is great for your more formal of Christmas events – or for older girls or even moms who would prefer not to have a Christmas tree in their hair. If you can do a French braid, you’ll be able to do this one. 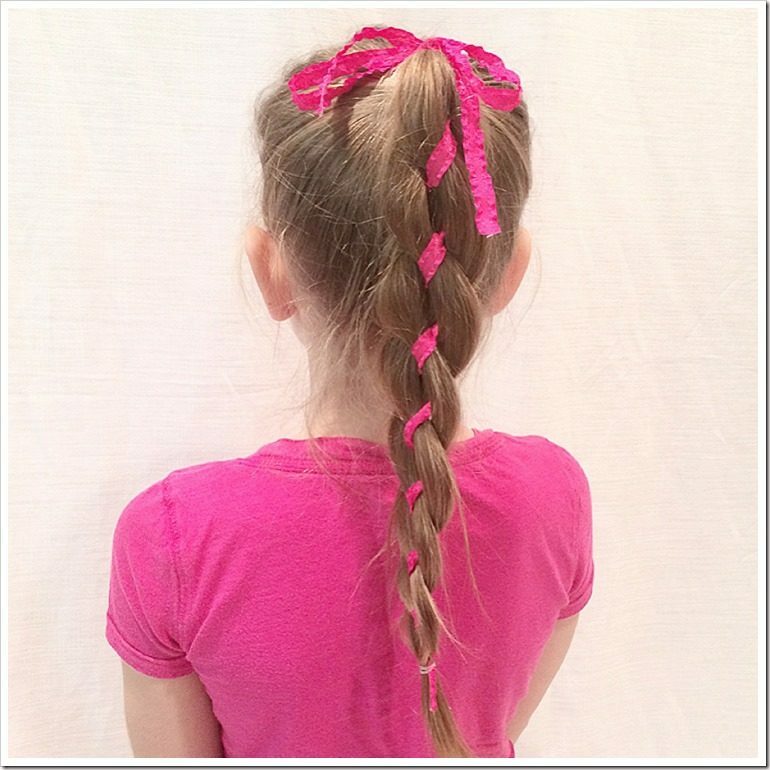 4 Strand Ribbon Braid tutorial from Hair by Lori. 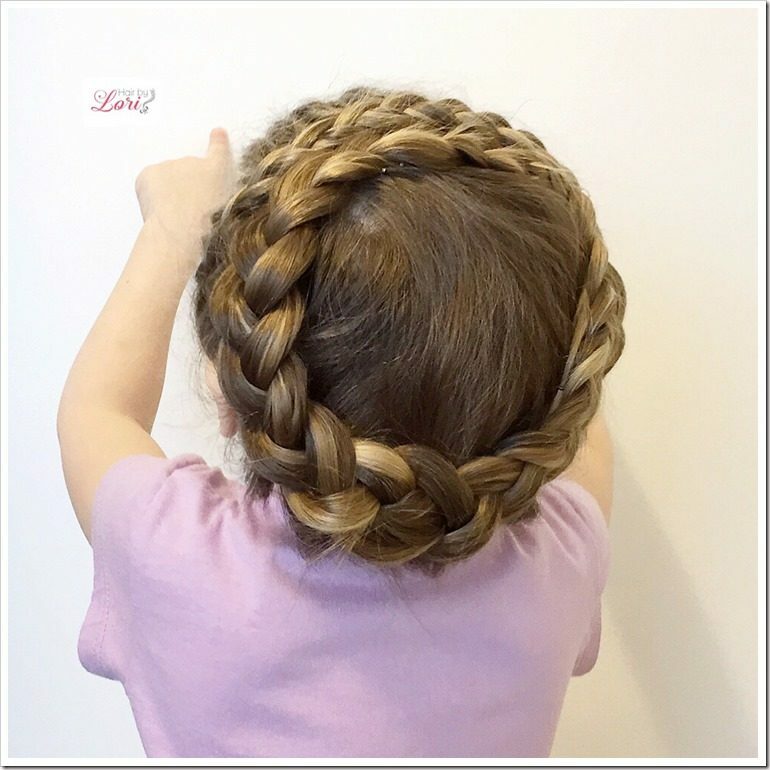 This braid is one that every mom should learn. It looks impressive because it’s not one that you see often, but it really is so quick and easy to do. Add red or green ribbon and it’s perfect for the holiday season. Christmas Tree Pull Through Braid tutorial from Babes in Hairland. 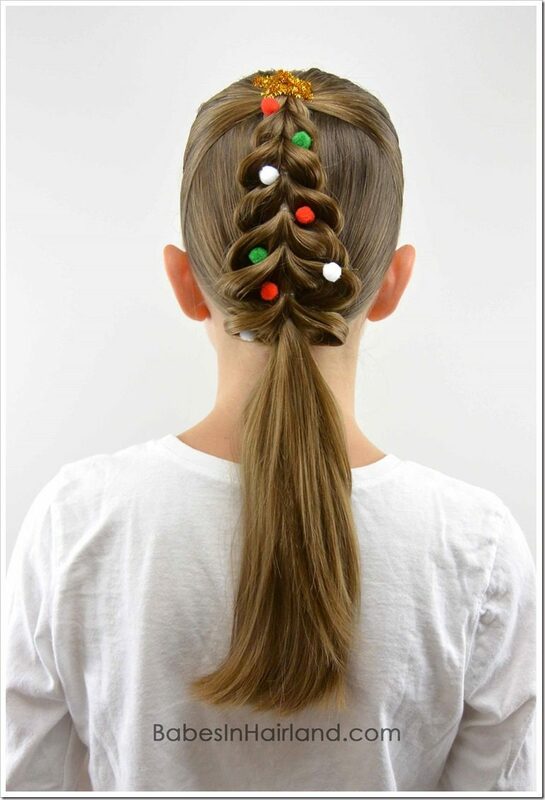 This hairstyle is festive without being too difficult or over the top. It’s easy to do and will hold up nicely all day. Hair Bow Hairstyle tutorial from Sweethearts Hair Design for Hair by Lori. This hairstyle is another one that is surprisingly easy to do for how impressive it looks. This is style can be dressed up or down to be perfect for any Christmas occasion. 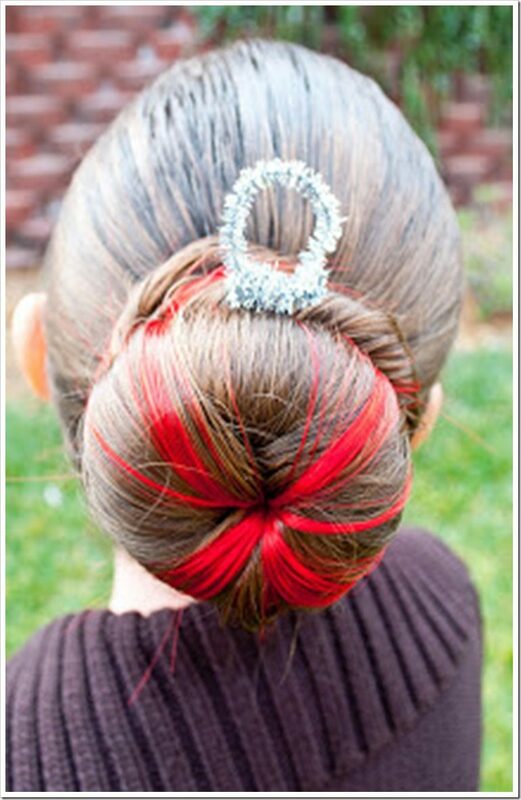 Ornament Bun tutorial from Princess Piggies. This hairstyle is perfect for dance and sports. It will hold up well during activities while looking so fun and festive. 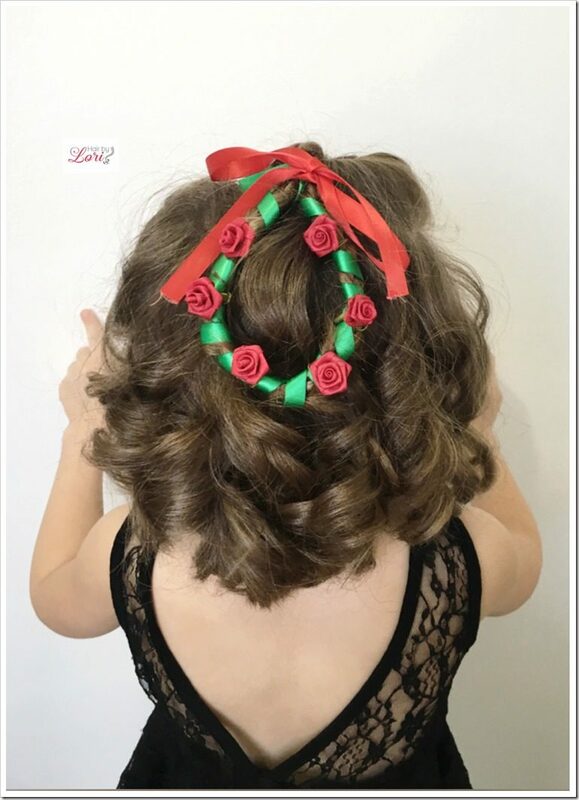 Pin Curl Christmas Tree tutorial from Hair by Lori. This is a great subtle Christmas tree hairstyle. 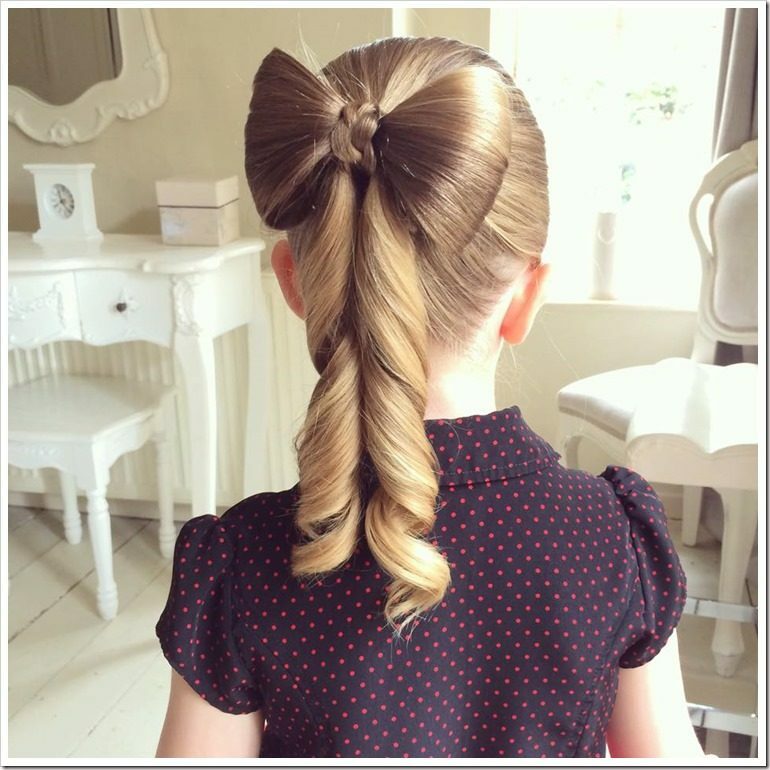 No braiding is required, you just need to be able to make a ponytail and pin some hair in place. 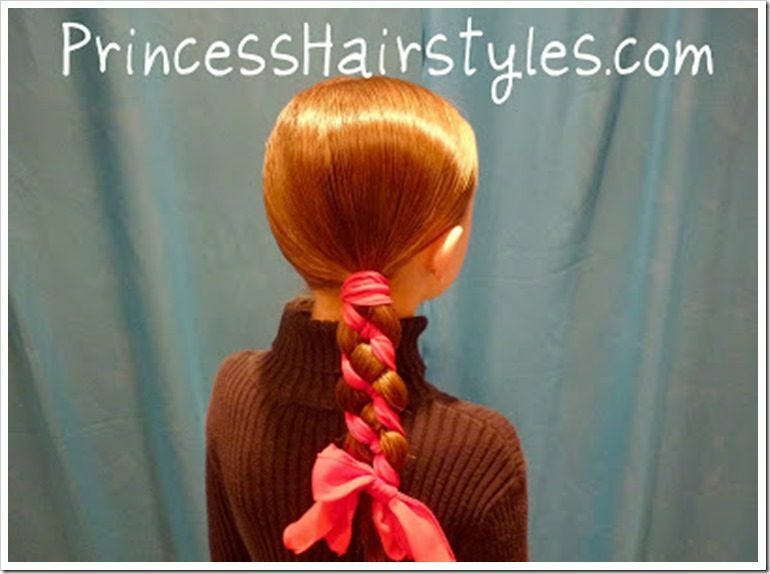 Candy Cane Braid tutorial from Princess Hairstyles. 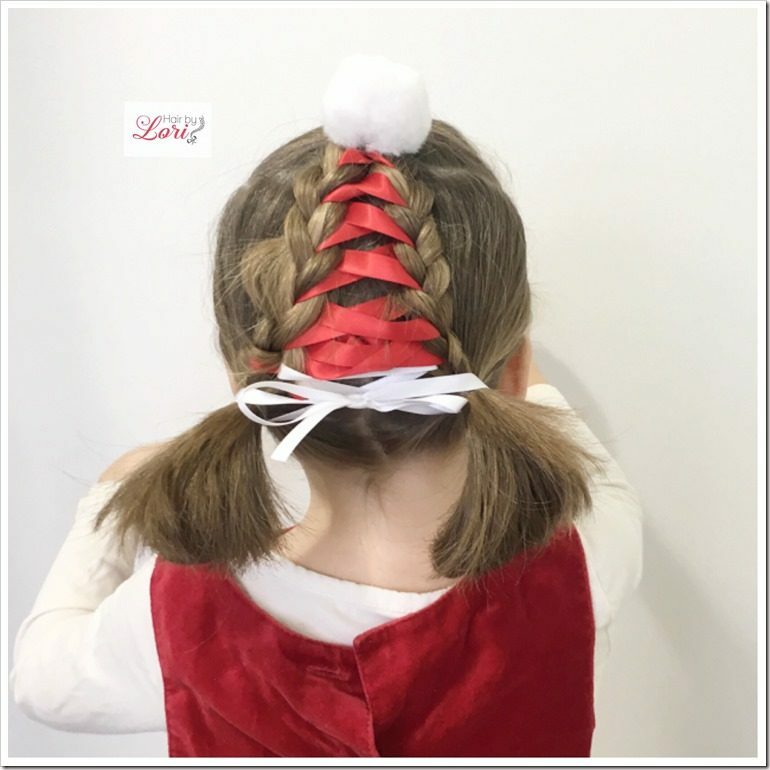 This adorable braid can be done with red and white ribbon to really get the full Candy Cane effect or do it with just one color like you see pictured here. 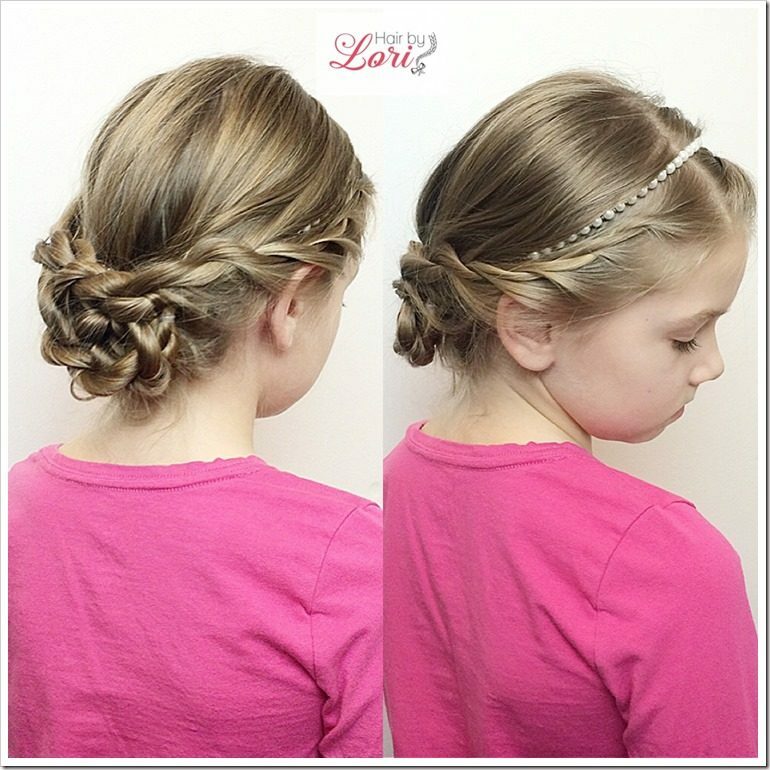 Dutch Lace Crown Braid tutorial from Hair by Lori. This hairstyle is perfect anytime of the year and can be dressed up easily to make a beautiful wreath hairstyle. Rope Twist Headband Updo tutorial from Hair by Lori. 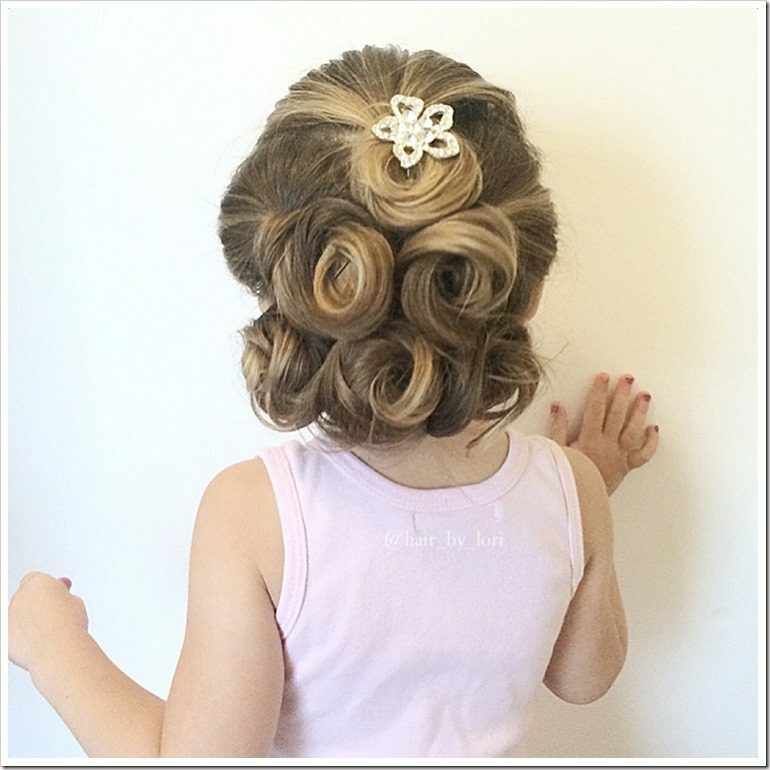 This gorgeous updo is perfect for your more formal of holiday occasions. 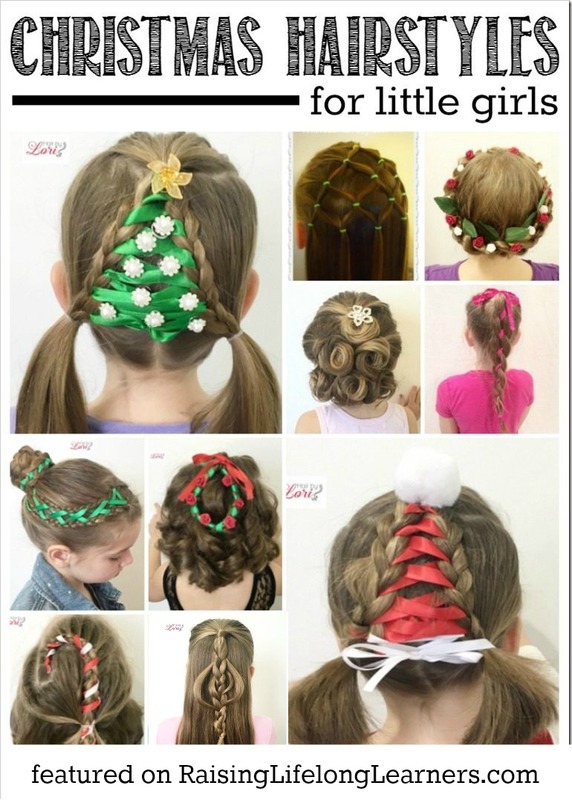 I hope that you enjoy these festive and fun holiday hairstyles. From beautiful to tacky-cool, these are the easiest Christmas hairstyles that you’ll find. Once you’ve mastered these and are ready for more difficult holiday hairstyles, be sure to check out all the hairstyles in my 12 Braids of Christmas series. Happy hairstyling and Merry Christmas!